Make an investment in your peace of mind. America's Most Trusted Safe Stores! With three locations in Southern California, Los Angeles' San Fernando Valley in North Hollywood, West L.A. in Culver City, and Ventura County's Simi Valley, and a 25 year proven track record on the web, we at Dean Safe are dedicated to providing you with the Best Quality, Best Service, and Best Price! Any standard order received by 12 PM PST Ships SAME BUSINESS DAY*, meaning if you need it fast, we'll get it to you, and we take extra care in packaging to ensure every order is delivered in PERFECT condition. *Same Day Shipping: Applies to most items (indicated on each product page). With a 40 year proven track record, we here at Dean Safe have been selling top quality products at the best prices since 1978! Our three retail locations in Southern California feature beautiful showrooms full of our top picks in Gun Safes, Home Safes, Jewelry Safes, Wall Safes, Drop Safes, Floor Safes and nearly every type of safe you can think of. Back in 1993, we decided to become the first safe store on the Internet and like everything we do, we decided to do it right the first time. Our Same Day Shipping, Super Fast Shipping Speeds, and Excellent Customer Service propelled us to become the largest safe store on the web. Many of our products offer free shipping and/or promotional pricing that is close to our wholesale price. That means big discounts for you and as always, only the top quality. Our tens of thousands of reviews and unmatched referrals from happy customers allow us to proudly stand behind the products we carry. If you check out our YouTube page, you'll find tons of product videos detailing our reviews, recommendations, and installation instructions of some of our top picks. 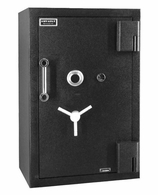 When you're ready to buy a safe, you can be confident that we'll provide you the best combination of price, selection and service you can find anywhere. 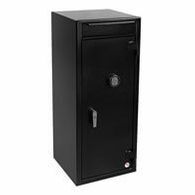 Gun Safes: When it comes to Gun Safes you certainly get what you pay for. We stock the top brands in the industry including: American Security (AMSEC), Cannon, Liberty, National Security, Rhino Ironworks, Fort Knox and Winchester. With Fire Ratings up to 150 minutes and gun capacities that can store up to 100 rifles, we carry a variety of reliable options that are truly built to last. Nearly all of our brands offer Lifetime Warranties, RSC Burglary Ratings, and U.L. Listed Locks to provide you the best protection for your most prized possessions. Gun Cabinets: The definition of inexpensive protection, Gun Cabinets allow you to lock your rifles, handguns and valuables away from the hands of children without spending a fortune. From Under the Bed firearm storage to Fast Access Deployment, there are a variety of reasons why a cabinet might be best for you. If you don't need fire or serious burglary protection, these gun cabinets are perfect for you. We stock some of the best cabinets in the industry from Secure-It, American Security (AMSEC), Sentry, Stack-ON, GunVault, V-Line and Barska. 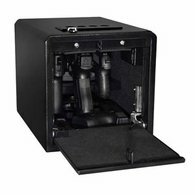 Handgun Safes: Ranging from light to heavy duty, handgun safes offer the security of storing your pistols safely and the convenience of quick access when you need it most. Ideal for mounting in your nightstand, desk at work, or trunk of your car, these pistol safes come in a wide variety of sizes and styles to choose from. There is a handgun safe for any application. We stock the best handgun safes in the market from Ft. Knox and American Security (AMSEC), to GunVault, V-Line, Sentry, Liberty, Stack-on and Barska. 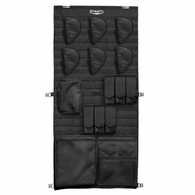 Gun Safe Accessories: Accessories add personality and functionality to your safe while allowing you to organize your valuables exactly the way you want. Prevent rust and moisture, keep your pistols and clips off the shelves, light up your safe, and even get notified when your safe is in danger all with great accessories from these brands: Acorn, American Security, Blue Stone Safety, Cannon, Dri-Rod, Eva-Dry, Golden Rod, Gun Storage Solutions, GunVault, Liberty, Lockdown, Sack-Ups, Secure-It, Stack-ON, Stealth, V-line and Winchester. Anti-Theft Lock Boxes: For light duty protection in an office, dorm room, or closet at home, anti-theft lock boxes are an inexpensive way to keep valuables like passports, watches or birth certificates locked up and out of the hands of a kid or burglar. 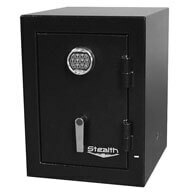 With no fire rating and the most basic locking mechanisms, anti-theft lock boxes compare to home safes like Gun Cabinets compare to Gun Safes. We stock the very best lock boxes we could find from Stealth, Stack-ON, Barska and Sentry. 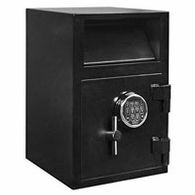 Home Safes: For heavy duty protection in your living room, closet, office or dorm room, Home Safes can offer real burglary protection just like you would find in a Gun Safe. With so many different types to choose from, we offer everything from basic fire safes to UL RSC Rated Burglary Safes. Ranging from 30 to 120 minute fire ratings, the home safes we carry from American Security (AMSEC), Cannon, Liberty, Hollon, Fort Knox and Burg Wachter are truly the best in the business. 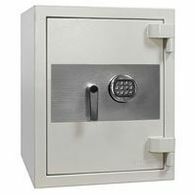 Office Safes: For those who need to keep cash out of the hands of employees or confidential documents for sensitive eyes only, there is an office safe to fit the bill. 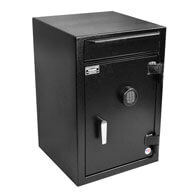 If you need serious fire protection for an external hard drive or simply a cash safe to put Accounts Receivable money until the next opportunity to run to the bank, we can find a Hollon office safe to fit your needs. Wall Safes: Ever wish you could have 2 rifles, a thousand dollars, a passport, and a pistol invisible to everyone but you? Wall Safes conveniently hide in between your wall studs and are easily covered with a painting or photo. Your friends will never know you have a Stack-ON, V-Line, Hollon, American Security (AMSEC), Barska, or Gunvault Wall Safe hiding behind your favorite painting. Floor Safes: Floor Safes are every burglar's nightmare! Easily hidden in the floor and generally fully encased in concrete, these safes aren't only impossible to find, but with a U.L. Lock, insanely difficult to crack. Whether you decide on an American Security (AMSEC), Eclipse, Hollon or Stealth Floor Safe, you can rest assured that your most prized possessions are safe. Biometric (Fingerprint) Safes: Electronic and Dial Locks allow any user that knows the combination into the safe. With a Biometric Safe, only the owner of the programmed finger can open the safe ensuring complete control. You simply stick your finger on the scanner or open with a swipe. Biometrics are the best ease of use option when it comes to safes. We stock only the most reliable in the industry from Barska, Sentry, Liberty and GunVault. 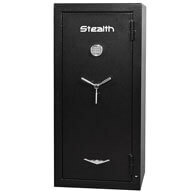 Jewelry Safes: Whether you're looking for a TL-15, TL-30 or TL-30x6, these high security safes are built to resist intense burglary attacks, severe conditions, and up to 2 hours in fire. Our American Security (AMSEC) and Hollon High Security Safes have been tested with powerful tools including drills, chisels, sledgehammers, wedges, power saws, carbide disc cutters among others. 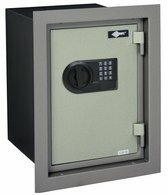 Drop Safes: Essential for businesses that use cash registers, depository safes can drastically reduce the amount of money lost in a holdup. Even better, they keep honest employees honest, reducing shrinkage and temptation among those dealing with the business' cash. 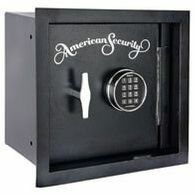 Protect your cash or documents with a reliable drop safe from American Security (AMSEC), Eclipse or Hollon. 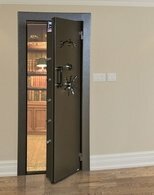 Vaults & Vault Doors: For those with extensive gun collections, expensive art, or just an entire room of valuables, a Vault Door is the next step in maximizing your security. With an interior release, you'll have no issues getting in and out and also will allow the door to be used as a panic room in the event of a home invasion robbery. Whether you go with the Liberty, Fort Knox, or American Security (AMSEC), rest assured your prized possessions will stay locked up and safe.